The 1 day emergency first aid for drivers training course is available as a Driver CPC course accruing 7 hours of JAUPT approved training (Driver CPC Module 6). The course follows the QCF syllabus and should you require a QCF certificate there is an additional £15 charge which should be notified at time of booking. Our anaphylaxis & epipen training course is designed for those caring for anyone where use of an epipen may be required. 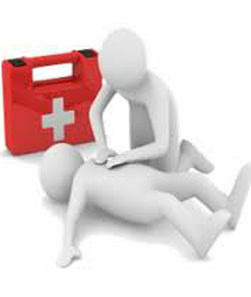 A one day emergency first aid course for those identified within the company’s risk assessment of First Aid. A one day Emergency Paediatric First Aid training course for all people in the care of children and infants. A 2 day First Aid at Work training designed for those who have already completed their 3 day course and require the 3 yearly requalification. A 3 day First Aid at Work training course designed for those identified within the company’s risk assessment of First Aid. Our Level 3 Paediatric First Aid training qualification is designed for those wishing to become a paediatric first aider in the workplace with a responsibility for the welfare of infants and children. See below for full course details. Have a question about a course or module? Get in touch.